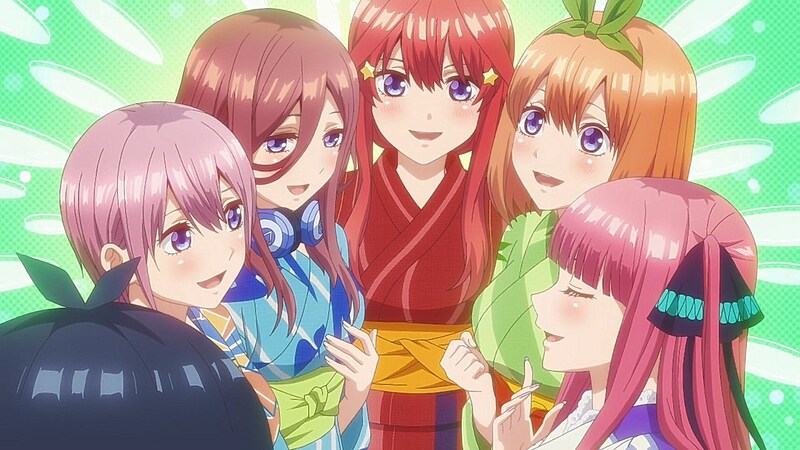 The fireworks festival is here, so this means that Fuutarou and the girls are taking a break from all the studying they haven’t been able to do. 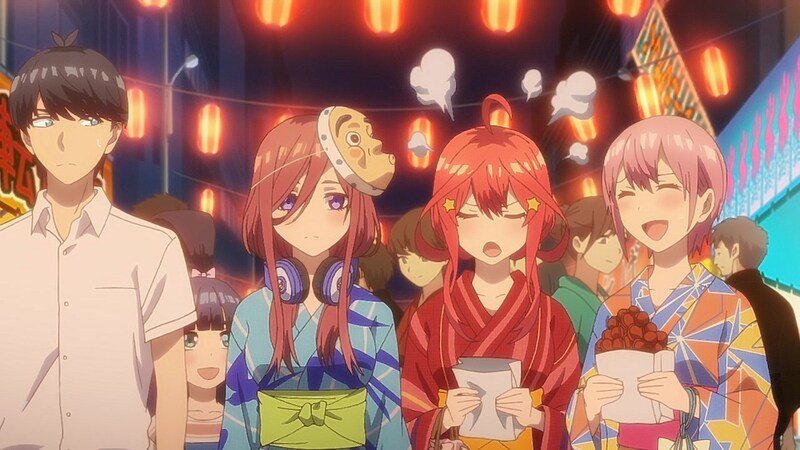 Because Fuutarou’s little sister Raiha is tagging along with him and Itsuki at the arcade, they were all invited to take part in the Nakano girls’ tradition of roaming around the festival. 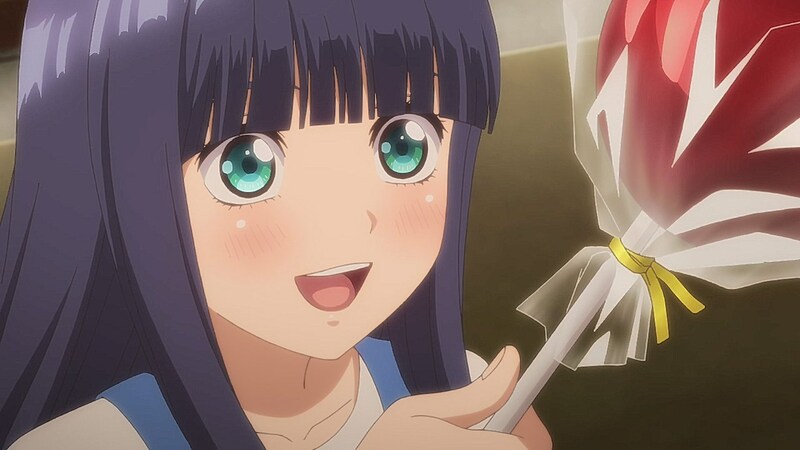 But with how much baggage the girls have on their own, getting them all together is going to put Fuutarou to the test as he aims to improve the academic skills and the personal lives of the Nakano sisters. 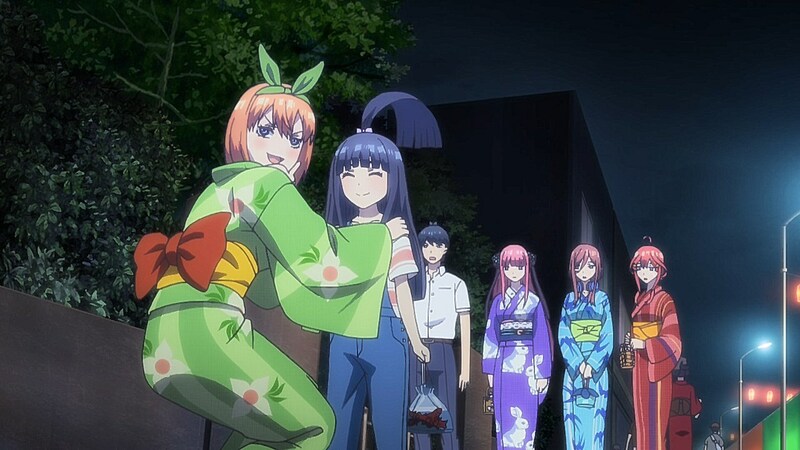 Itsuki explains that the reason why she insists on having Fuutarou compensated for his work is that he’s been doing far more recently to help the girls get in higher spirits. 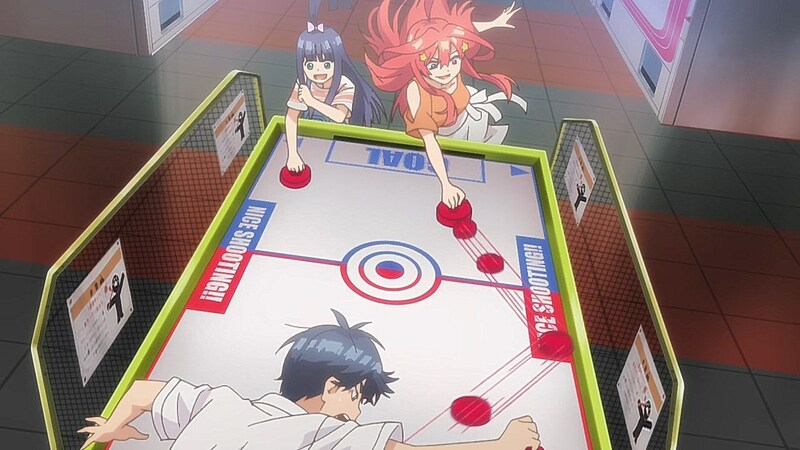 It puts the past three episodes into perspective when, in spite of the girls’ inability to pay attention enough for a full study session, he has been leaving a positive impression on some of them since he’s started. 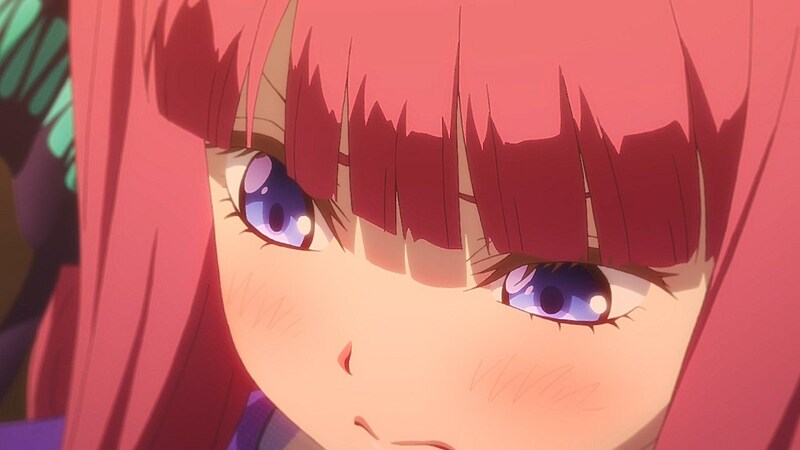 Invigorating Nino’s hatred for him as she tries to see eye-to-eye more with her sisters is one turning point for Fuutarou in how his interference has helped give them a positive jolt. 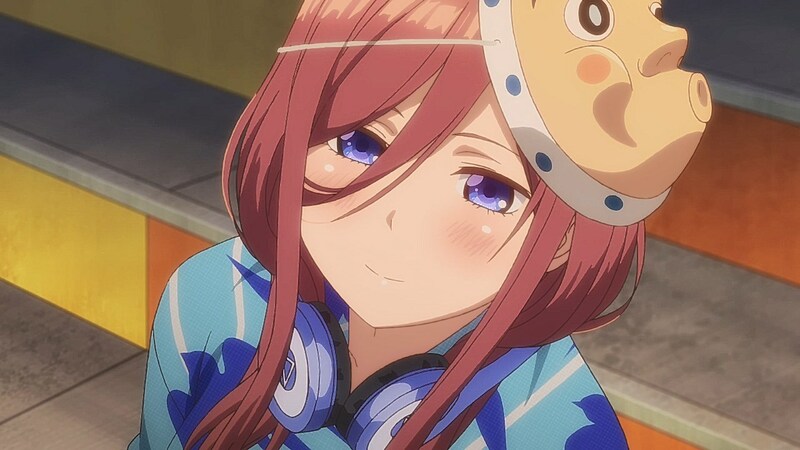 Similarly, he has inspired Miku through his dedication to reaching common ground with her and Yotsuba also seems like she’s all the happier now that she can hang out with Fuutarou and Raiha. 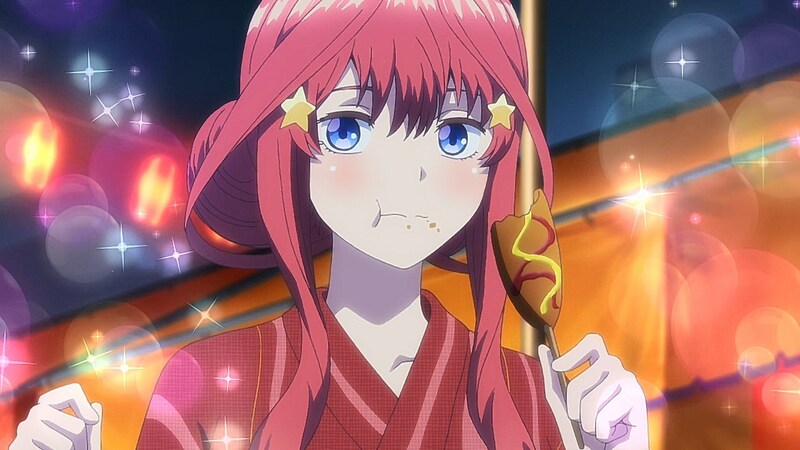 Itsuki’s own attachment to Raiha is also a plus on her side as she puts aside the animosity she has for Fuutarou to show Raiha the time of her life with every given opportunity such as using some of his earnings to give Raiha the luxury of going to an arcade and tagging along for a fireworks festival. 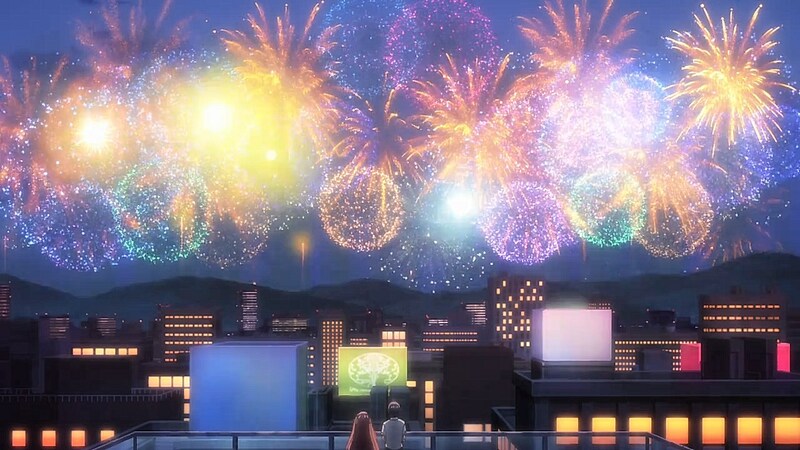 The role that Fuutarou plays in improving the sisters’ bonds with one another is emphasized with Fuutarou’s main objective in the episode as he is tasked to gather the sisters together to watch the fireworks show. 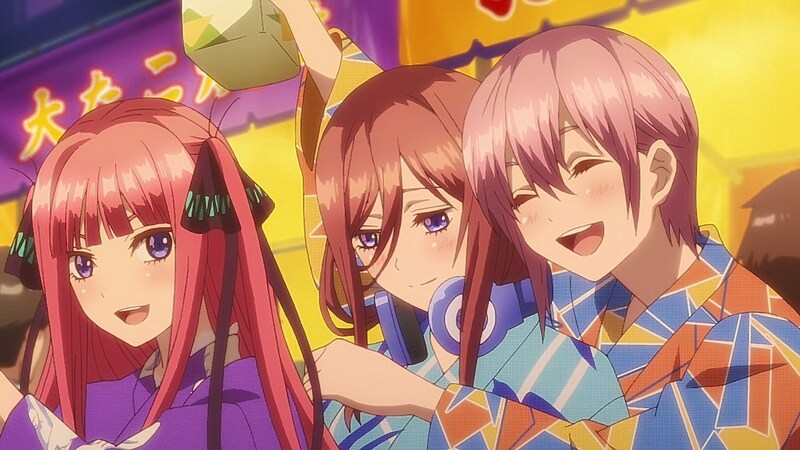 After Miku tells him that Nino’s insistence on watching the fireworks as sisters stems from the old times they shared with their mother, Fuutarou is dedicated to reuniting them all after the festival’s crowd separated them all. 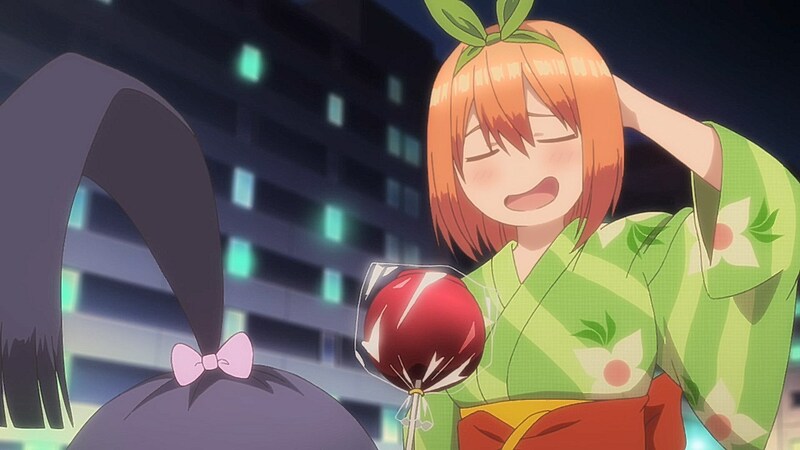 Yotsuba’s is the most reasonable situation since she wanted to take Raiha around to all of the vendors and games after growing fond of Raiha to the point of planning to take her in as her own sister by marrying Fuutarou. 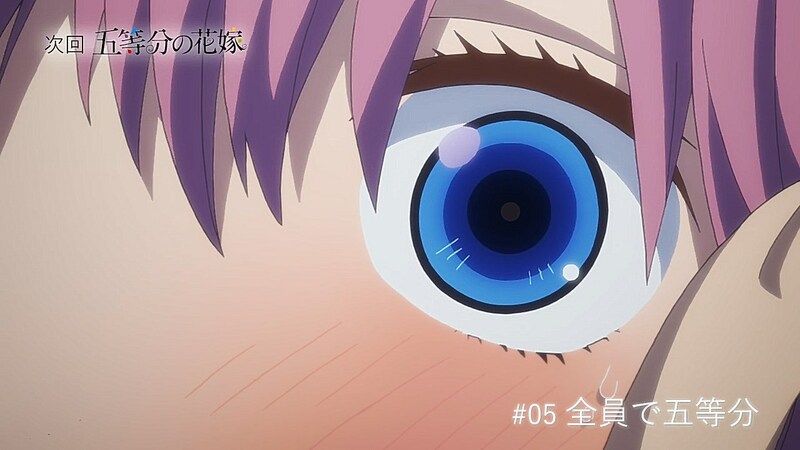 There’s also quite a bit of ship-teasing in this episode with Nino finding herself drawn in by Fuutarou after he catches her from falling and joins her to watch the beginning of the fireworks show. 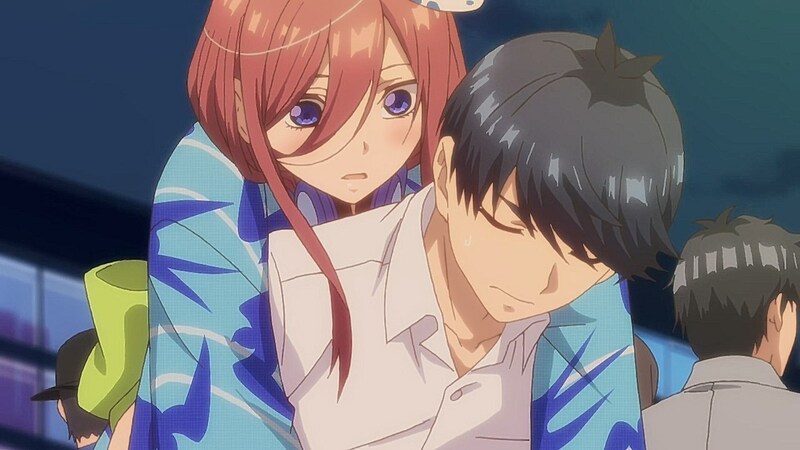 Meanwhile, Miku is given time with Fuutarou as he tends to her bruised foot, carries her, and ends up put on the spot when they’re asked if they are a couple. 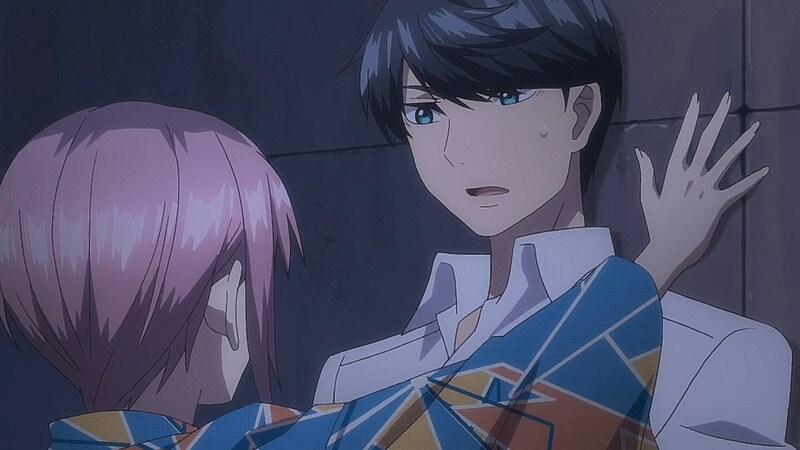 Itsuki has some small hints here and there, but they are relatively mild since her and Fuutarou have a mutual understanding of how to behave around each other. 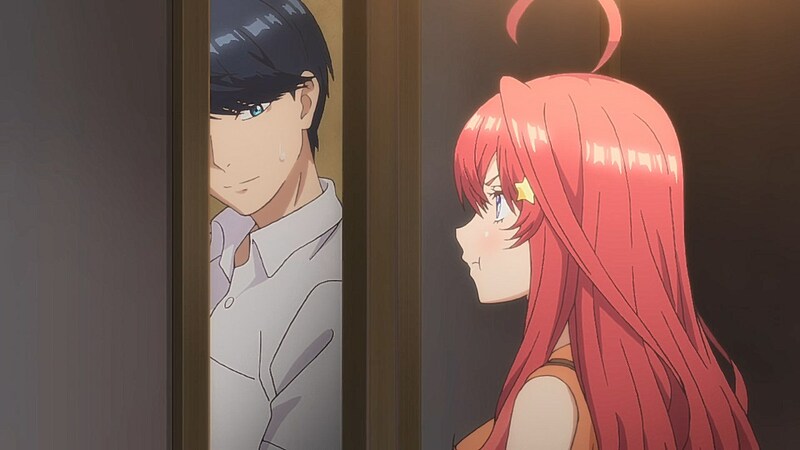 One mystery that will lead into the next episode is the nature of Ichika’s personal life. There were hints in previous episodes that she was being drawn into something suspicious with late-night calls and moments she’s been spotted leaving an older man’s car. 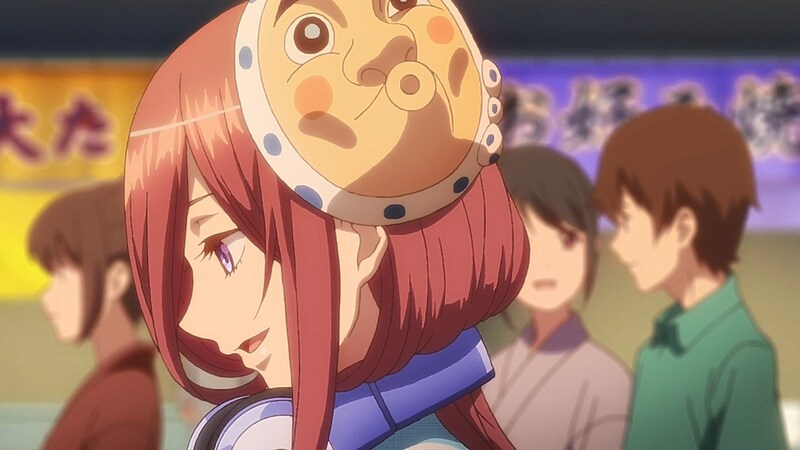 However, it all comes in full circle this time around as Ichika ends up deciding to skip the fireworks show this year to meet up with the older man. 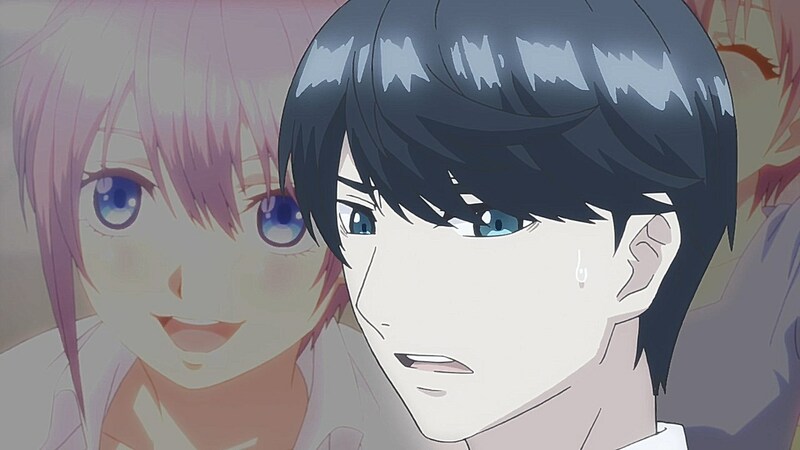 The situation is made twice as complicated when the older man presses Fuutarou about what his relationship with Ichika is like. 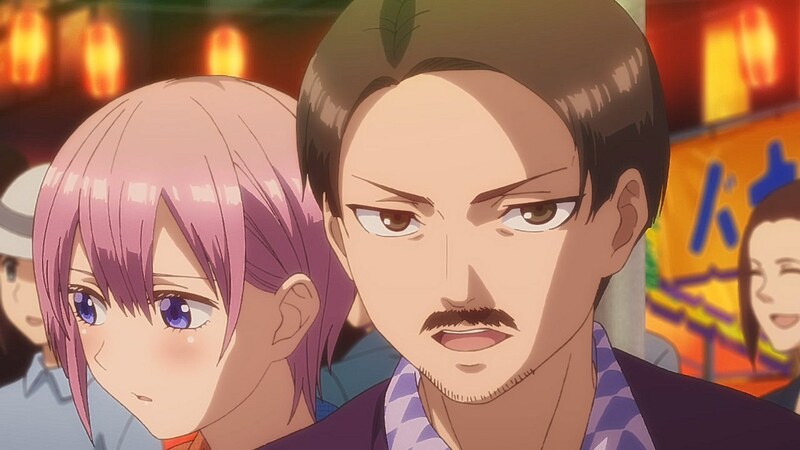 Much of the set-up for this older man is definitely trying to hammer down the idea that he may be a client and Ichika might be trying to earn extra money through compensated dating. But that would be a little too on-the-nose for an appealing harem series, and it’d be far more likely that his identity would be a bait-and-switch towards something innocuous. 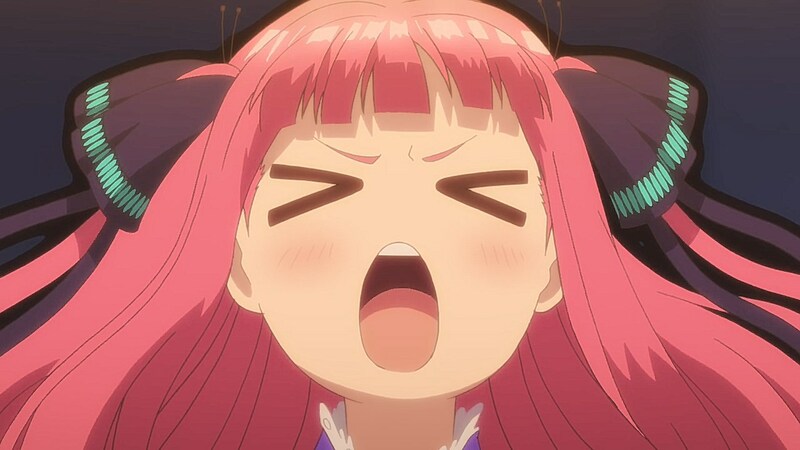 After all, otaku are usually far more vocal about their hatred for a specific girl if they knew she did compensate dating or had a sugar daddy, let alone if she has dated someone before. 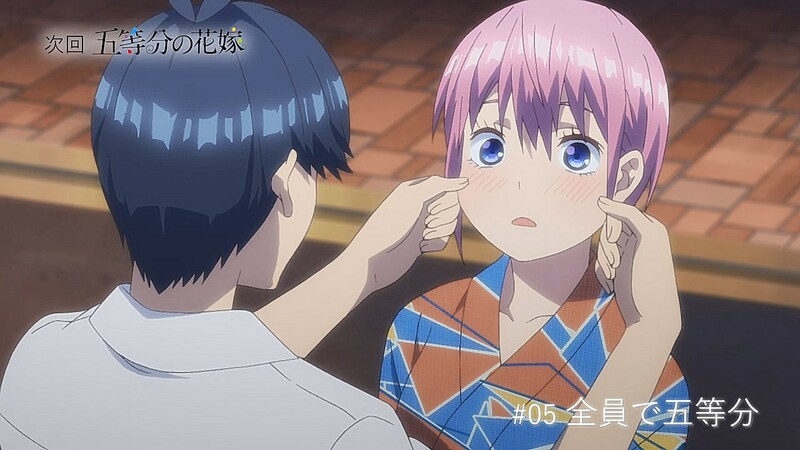 It appears that next time around, we’ll have the answers to what the cliffhanger will lead to as the previews are Ichika-centric. Still a proud member of the holy church of Miku. Together we’ll beat the Nino Gang who is our strongest ennemy since the start of the manga. Nino Gang is all about the offensive! Good or bad. 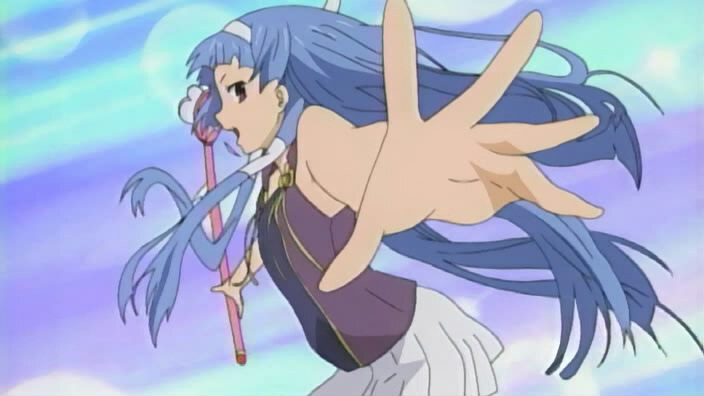 Forward!!! 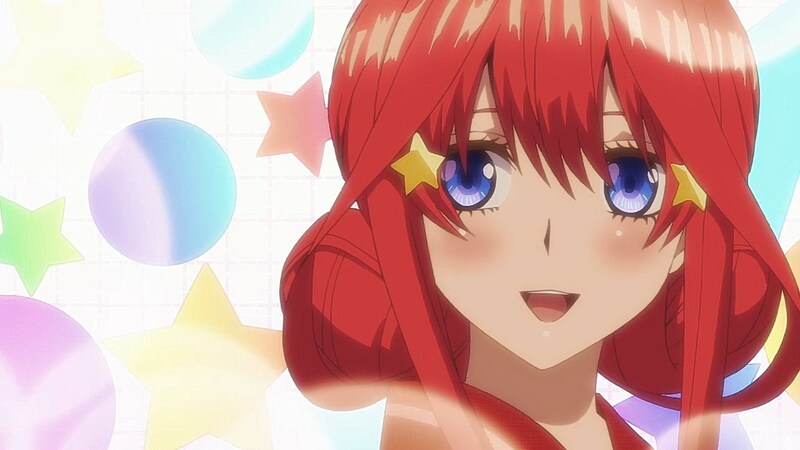 Raiha is just too adorable. Definitely. 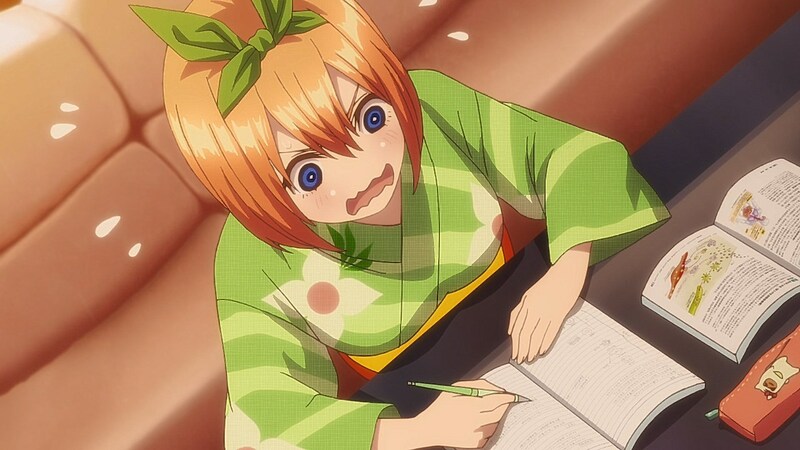 She’s so adorable she can convince her brother to stop studying, force the quintuplets to do their homework and attract new members to the harem black hole. 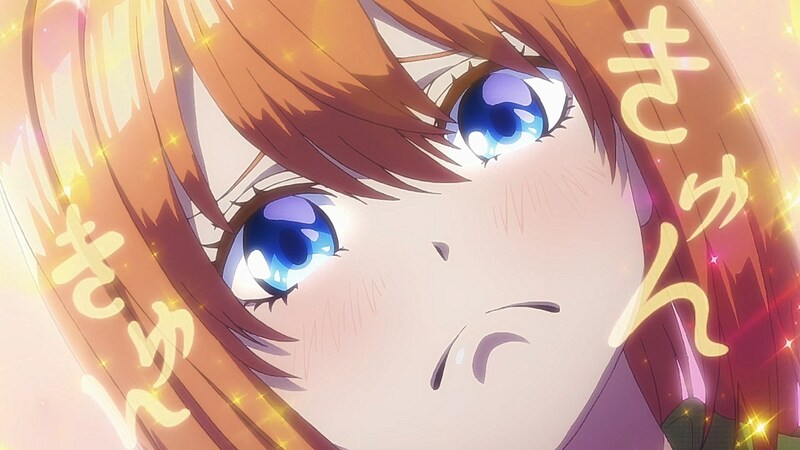 Gotoubun’s mangaka says the story is now at its turning point, and has decided how many volumes the story has left. He doesn’t believe in needlessly dragging out the story. He’ll make an ending the majority of readers will find acceptable, based on Fuutarou’s feelings. Seeing that Miku has more than twice votes in the official poll, than the second place, Itsuki. 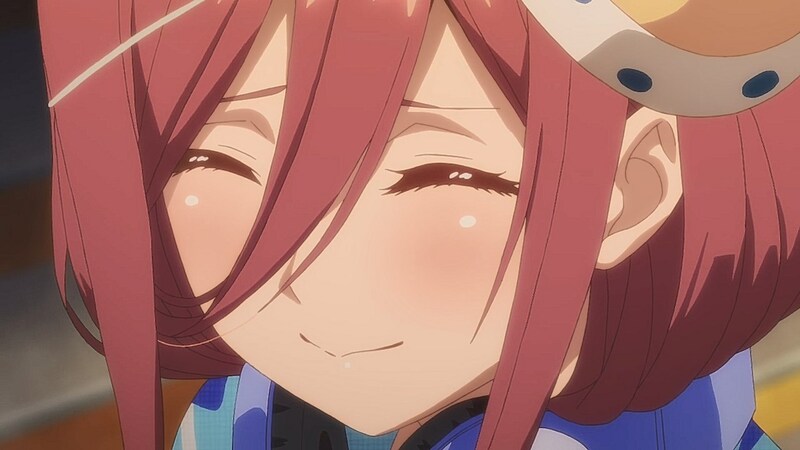 I think that if Miku is not the winner, then he will remain as a good friend of them, but without a relationship with anyone. Well the Nino Gang can claim victory here. They had their “first” fireworks viewing. 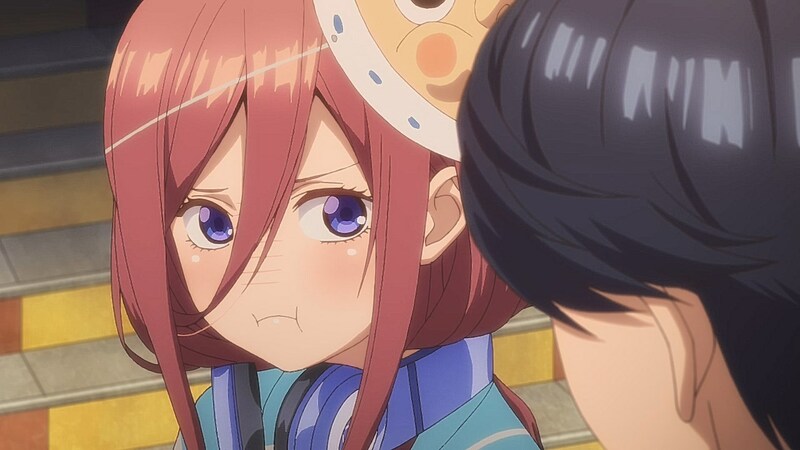 Meanwhile the Church of Miku is pouting. Nothing like knowing people who lost the same family members as you to put your life in perspective. 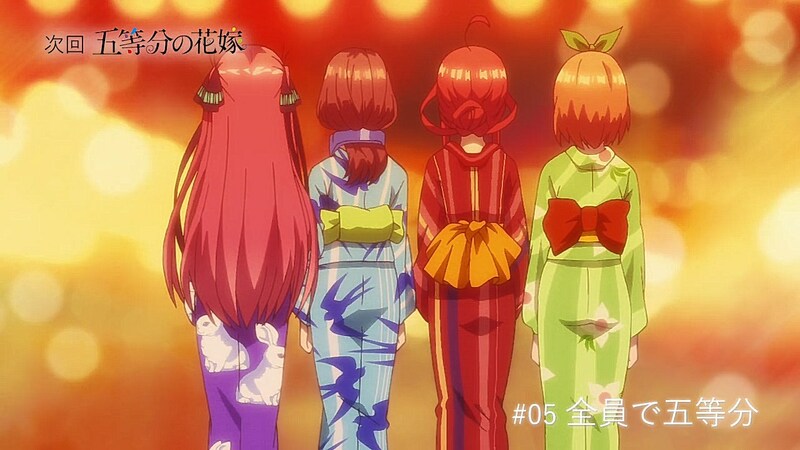 Seems like Uesugi sees himself with the girls, he and his sister have moved on. 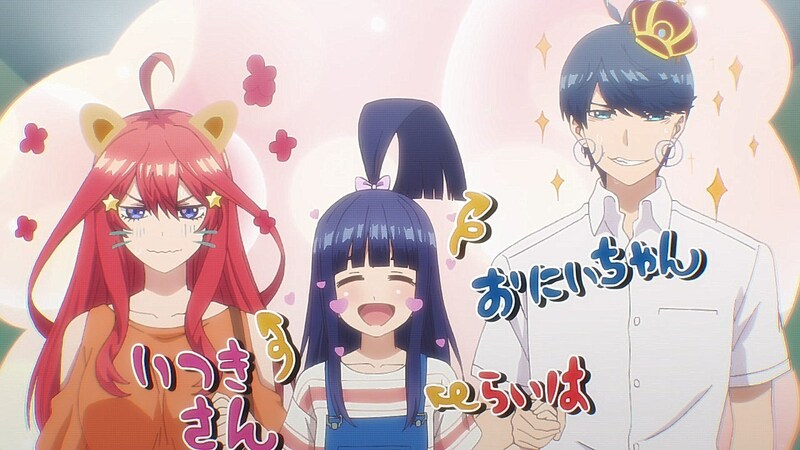 The Quintuplets too have moved on but together as a family. 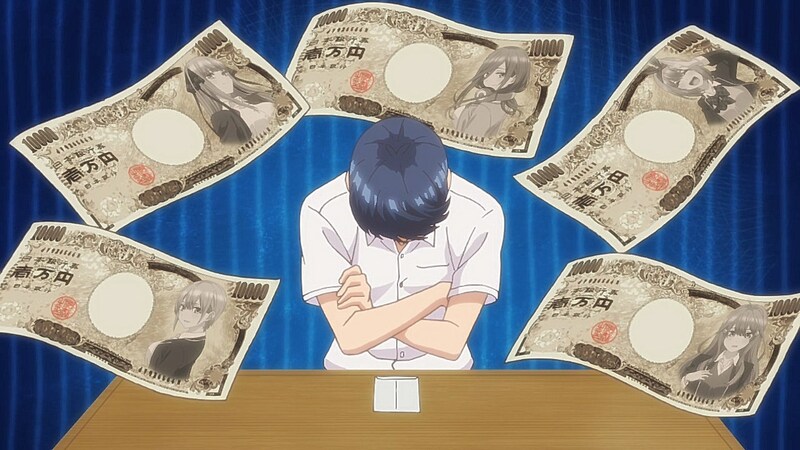 Uesugi at the festival, I kept getting triggered every scene when he tries to figure out his exact relationship between the 5 sisters. 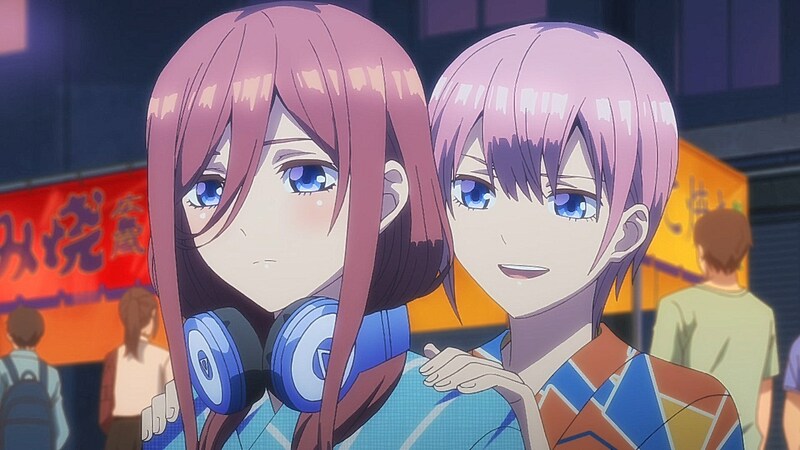 Uesugi is as unsure also insecure than the girls and it’s driving me nuts. 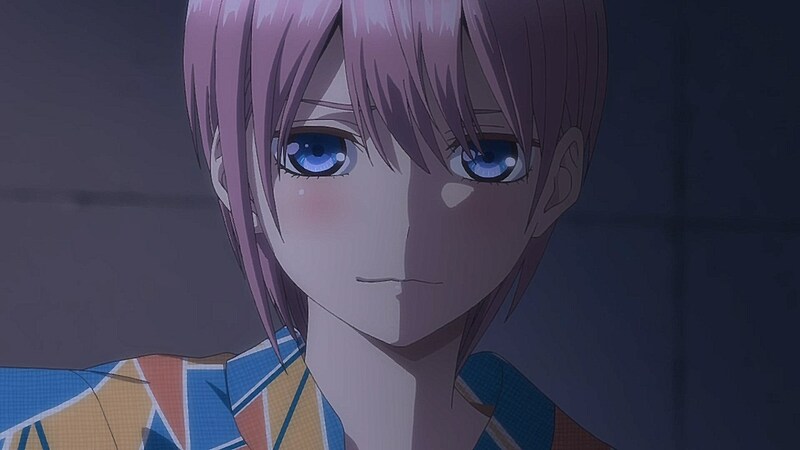 I think figuring out how each of the quintuplets took the loss of their mum is just as important in figuring out what makes them tick. 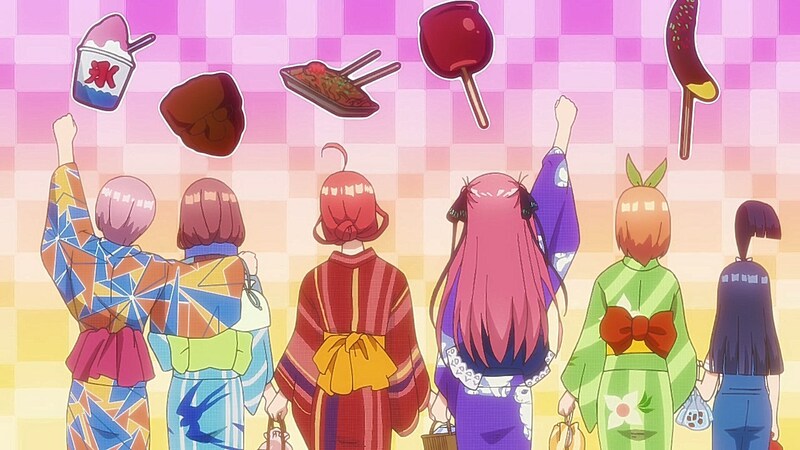 Ichika clearly takes it differently compared to her sisters. Whatever that guy represents, it clearly trumps the memory of watching the fireworks together. Would find it strange for a guy to replace a mother. But that is currently the only source of emotional distress for these sisters.